Will Your Family Go Hungry? Emergencies can take many forms, from storms to power outages. Keeping long term food items on hand for emergencies protects you in the same way as insurance on your home or auto – insures that you are ready for the unexpected. 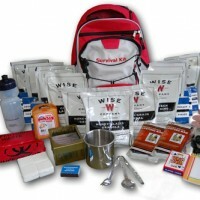 With our freeze dried foods in your food reserve, you can be ready for just about any unexpected crisis. Imagine, for instance, what a lifesaver these foods can be when your electric power is knocked out for several days by a storm. With our long term food items and products on hand plus a one-burner stove or candle to heat water (cold water can be used in a pinch), you can still enjoy a hot, satisfying meal in less than 10 minutes. Having a private food reserve makes a lot of sense. Good sense for both financial and security reasons. Use pouches for limited short-term emergencies. Use cans for potential extended emergencies, or an emergency situation affecting a lot of people. Mix and match your short term & long term food items. 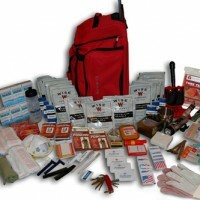 This entry was posted in Year Zero Survival Blog and tagged 2012 prepper, Bugging-In, disaster prep, doomsday prepper, doomsday preppers, emergency food supply, fema123, long term food items, PREPPER NETWORK, SHTF, survival hack, TEOWAWKI by staff-writer. Bookmark the permalink.